This fitness craze that we all are going through is good for us. The only problem with it is that you can get easily confused due to all the different types of machines out there. 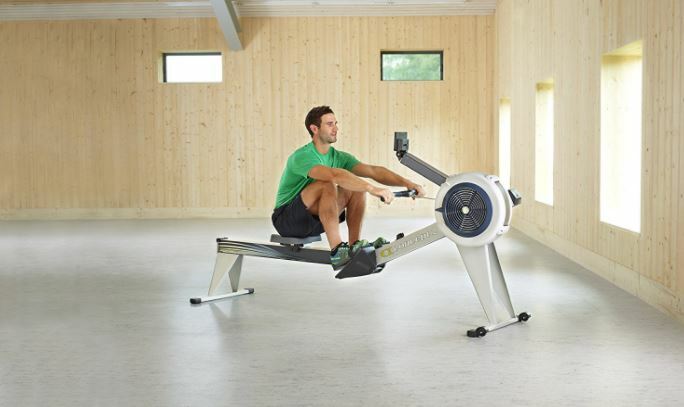 There are so many rowing machines that it can be hard to tell them apart. For that very reason, we took the time to search the web and find the best of the best and to show you what sets The Stamina ATS Rower apart from others. 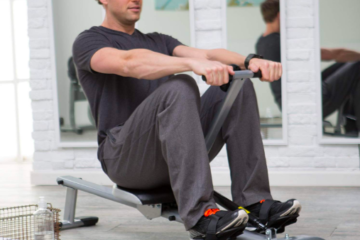 We worked hard so that you can save your energy for your new rowing machine: the Stamina ATS Air Rower. 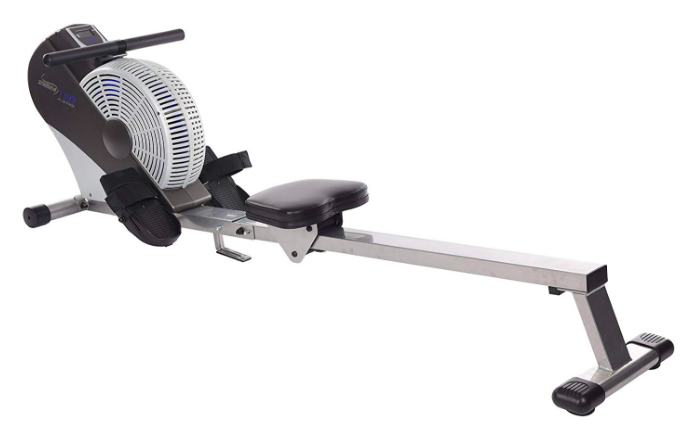 This air rower is one that would make any rower’s eyes sparkle. The wide seat means that is comfortable. The digital screen will help you see the progress in your movements. 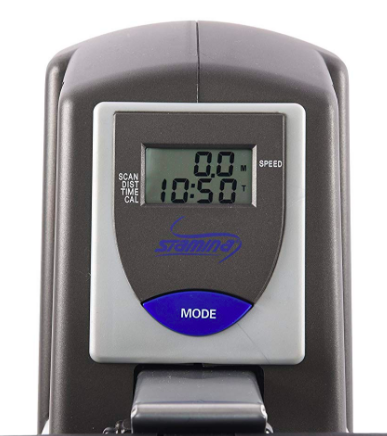 The Stamina ATS Air Rower is storable and easy to move around because it has wheels. This makes it perfect for small spaces and takes away the need for a complete home gym. One of the best things about the Stamina ATS Air Rower is the padded and upholstered seat. It’s placed on an angled seat rail so that you get smooth movement and ultimate comfort. The large footplates are just the right size for anyone to use. You can use the foot straps to keep it in place. The rails have skid pads on them. 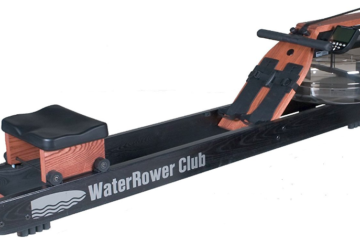 This is so that you can row at any level that you want, without having to worry about the rower moving around. It gives you complete stability, but it also provides you with floor protection. Additionally, you get a digital display that shows you everything you need to know: including distance, calories burned, and the time you have been working out. It doesn’t keep track of your heart rate, but you can purchase an additional chest strap that will allow you to monitor it as well. There isn’t anything to stress about when you use the Stamina ATS Air Rower. It has a very little window for misuse. All you need to do is sit down on the seat. Put your feet into the adjustable foot straps. Now pull the handle. It is truly that simple. As you get going the wind resistance will set itself so that you get constant resistance at the needed. There’s no need for manual adjustment or stopping to do so. No matter how long you have this air rower for, it’s going to work the same. It’s easy to fold up and store. And it’s super easy to use to boot. The durability is great thanks to its steel construction. This is an investment that you can count on for the next couple of years. It is solid machine from a reliable manufacturer. The downside is the assembly. Its instructions tend to be a little vague which can make it harder to put together. The best advice is to throw away the instructions and stream the YouTube video. Trust me, that will make the whole process a lot smoother. Now that you know the great, and the not so great, things, let’s talk money. You might not have to stretch your budget as much as you may be expecting. 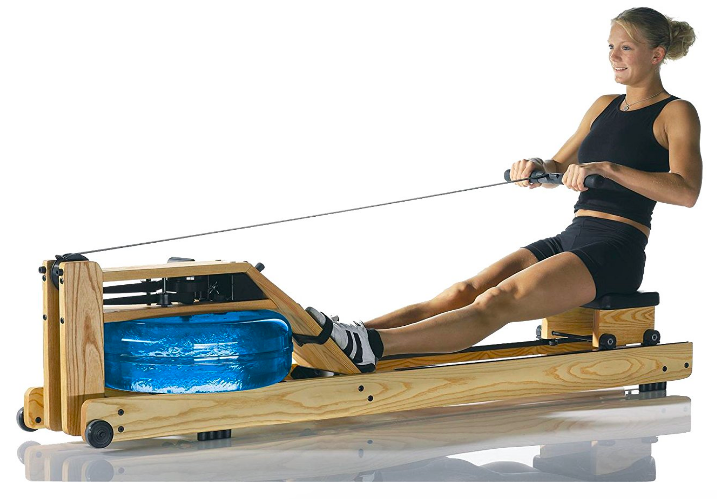 The Stamina ATS Air Rower is an investment that runs under $500. Compared to other rowers, this is a huge advantage to adding this rower to your workout. In fact, it may cost you less than your yearly gym membership. 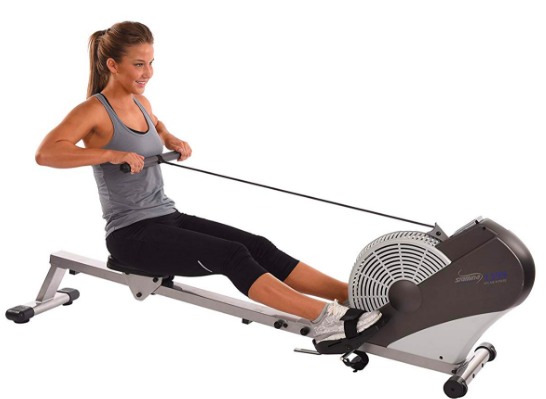 If you are looking for a full body workout, then this is the rower for you. You will fell it in your arms and legs immediately. It has been proven to work for heights from 5’4 up to 6 feet with no problems reaching or extending the legs. The Stamina ATS Air Rower won’t work for team rowing. It just isn’t set up for that. The seat won’t hold more than one person. If you are looking to replace the multiple machines in your home gym for just one – then this is the one. You will get a full body workout. Overall, the Stamina ATS Air Rower is a great machine. It’s durable, reliable, and easy to use. You can fit it into small spaces and fold it up when not in use. You can get a decent workout in less amount of time without having to leave your home. Be prepared for the noise: it’s not a quiet machine. This may not bother you when you put in your earbuds, but the people around you may not like it. The leg stability is nice so that you don’t have to worry about it scooting around and causing additional noise and damage. 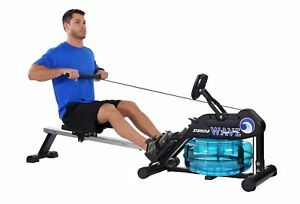 If you want something less noisy or better suited for a small space, then look at the Averi Stamina Programmable Magnetic Exercise Rower (Check Price on Amazon.com). You will have to stretch your budget a little bit more for this one. 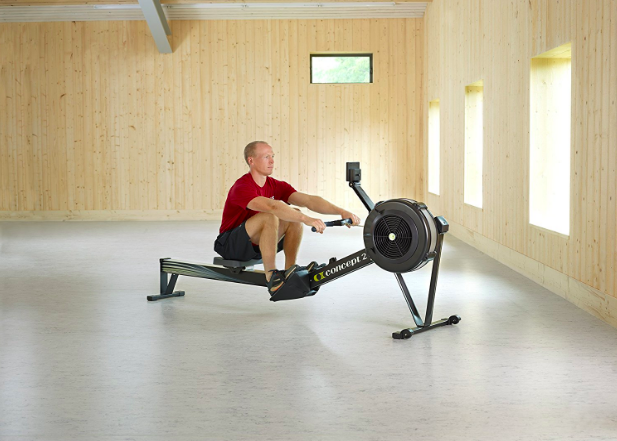 If you don’t want to deal with the single handle, or would prefer the double arms, then you could invest in the 1215 Orbital Rower. While it’s still a nice size for small spaces, it’s also quieter because it uses hydraulics instead of a pull chain.